For those who are unfamiliar with me, it is not inaccurate to say that I have commentated more EVE tournament play in the past 3 years than any other player or Dev. If you’ve had any EVE tournament exposure at all in that time, you’re probably sick of the sound of my voice already. #EVE_NT Commentator & Host for the Pre-season and first two seasons of Majors & Minors. This does not necessarily make me the best EVE tournament commentator, but I certainly have experienced a lot of it over the past few years and I like to think I have learnt a little and improved over that time. Consequently, I’ve spent a lot of time and effort thinking about at how we produce our coverage of tournaments, for how we compose casting pairs, the format of shows and most importantly in my job as a caster, how we communicate information to viewers of various levels of experience so that they understand and enjoy watching. These are all topics that I could (and want to) write about, but it’s that last one I want to delve into today. 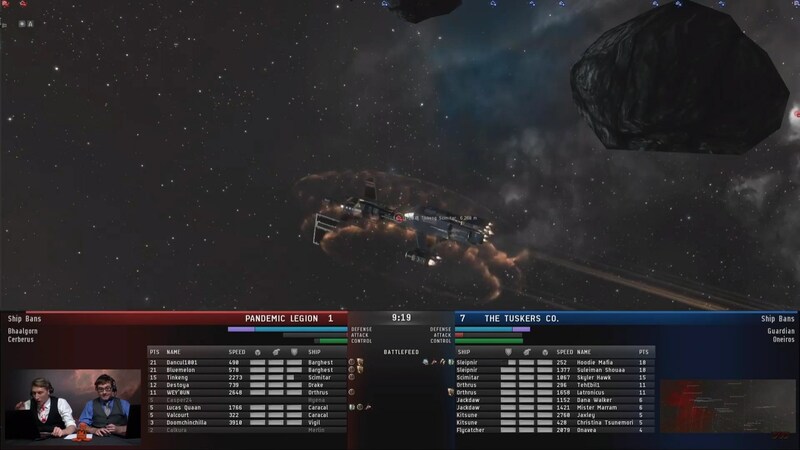 EVE is a unique game in terms of tournament play for many reasons and there are quite a few challenges it faces in a lot of areas, its viewability standing out as a major issue. Let’s compare screenshots of an EVE tournament with a few other major games from different genres that feature their eSports component. So here we have represented some of the most modern and popular eSports: an RTS, a MOBA and a FPS. 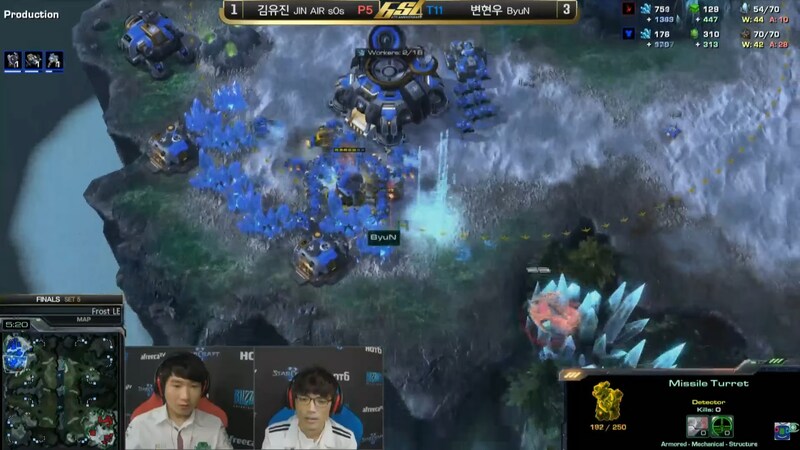 One of the key difficulties for communicating EVE, which all other eSports do not have, is one of perspective of the terrain, ie the viewer knowing what they are looking at and being able to recognise their perspective from show to shot. 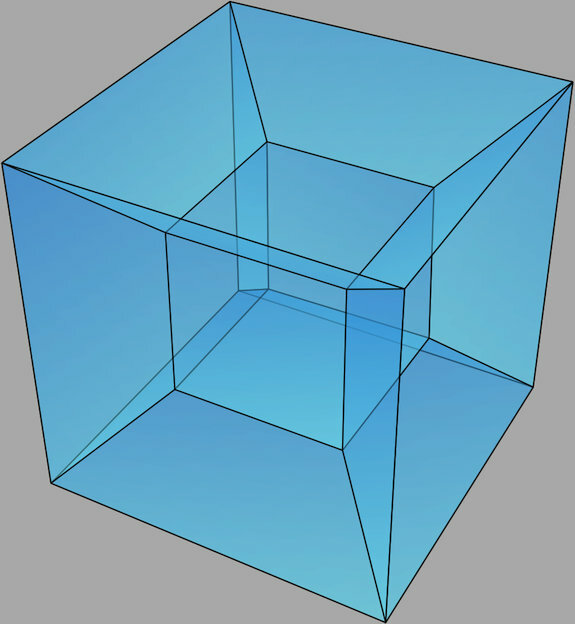 This is difficult in EVE for two reasons; that we are working in a truly 3 dimensional space rather than the 2 (or arguably 2.5) dimensions of other games and that our arena has almost no recognisable features. Camerawork can make up a lot for this, and has improved drastically over the past few years, especially by these streamers who get to do it week in and week out on productions like #EVE_NT, but this in itself is only part of the problem. One of the areas EVE actually does quite comparatively well on is the barrage of pertinent statistics through the UI and recently the after game summaries as I remember being produced at least in ATXII. 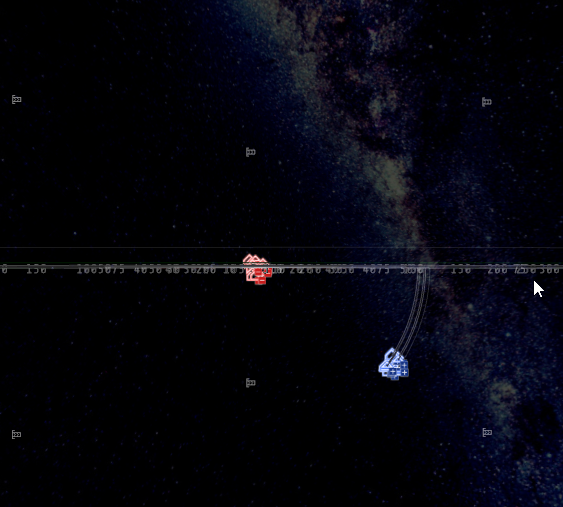 We have potential and applied damage/EWAR and a constant state of the tank and speed of each ship at all times. In one respect EVE has an easier time here as it does not need to live track nearly as many stats like unit production, upgrades or XP/Gold farmed per minute. 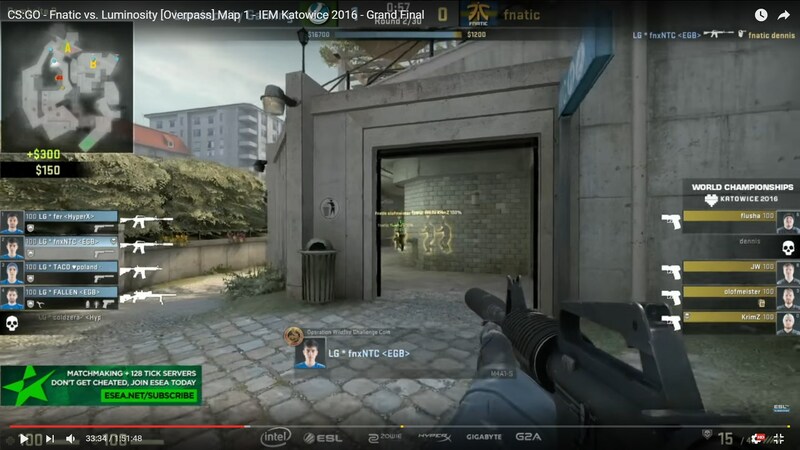 If you watch or play any of the eSport games shown above, you will be able to look at the given screenshot and know exactly where you are on the map and be able to orient that respectively to the players starting positions and who should be able to control that space, partially due to the help of the minimap, partially due to an extreme familiarity with the map itself and its recognisable features. EVE Online’s only recognisable terrain is the position of the stars and galaxies in PE1-R1, there are no buildings or tilesets to assist the viewer in understanding their reorientation every time the camera shot switches. Looking at a screenshot from the other games, if you are at all familiar with the game, even if you’ve only been watching it for a day, you instantly know exactly where you are and potentially, to some extent, the gamestate from that slice of time. Even when us commentators are watching the game in-client and we have complete control over our viewpoint, it can still be disorienting to tell where all the ships are in relation to each other at a glance. The minimap plays a huge role in this instant recognition of perspective, it gives an outline of the whole map and each player’s position on it. Ask any pro-gamer from any team and they will tell you that their eyes spend the vast majority of the game on the minimap rather than the main screen but for fleeting glances to make sure they’re pathing correctly and then microing properly in fights. 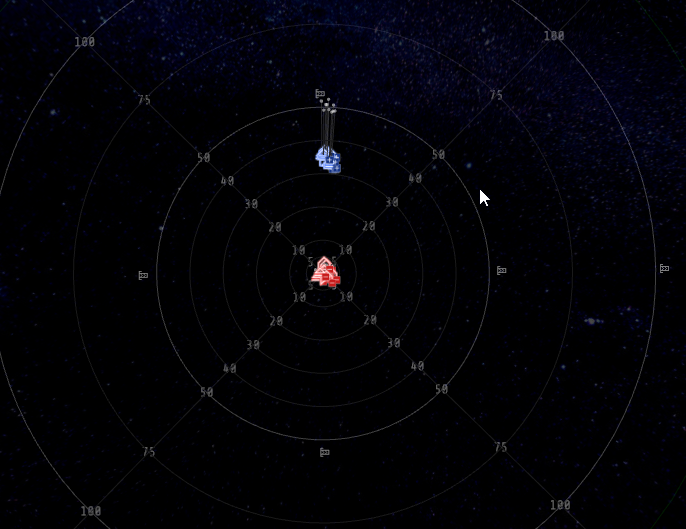 The EVE minimap itself is much more limited in its use as its single screen perspective needs to change to most helpfully represent the position of the players. The terrain and dimensional difficulties however are not the only issues in this area. We also have one of the scale of the players to the map itself. Look at the other games, you can have a significant portion of the map on the camera, – enough to see the relevant “area” of the current fight – and you can clearly make out what the units are and where they are. EVE Spaceships are orders of magnitude smaller than the space they inhabit compared to these other games, to the point where if you are zoomed in sufficiently to recognise the ships by sight and see all the pretty skins and explosions, you will almost guaranteed not be able to see any of the positioning unless it’s a close-quarters brawl within about 10k. Thankfully, I have another Apothne Solution™ , in that we need to improve the ship icons, even if only in tournament play. In EVE, we currently have a variety of polygons with lines under them to represent the class of spaceship we are flying (i.e. battlecruiser vs frigate vs Marauder), but they are not instantly recognisable enough to rely upon and also give no way to differentiate between differing hulls in the same class. Instead what I would love to see are tiny simplified pictures for each hull laid over these for tournament play so the ships are far easier to distinguish, ideally with the pilot names permanently shown, as Chessur has managed to hack the client to do with hull types in this video. Further, it would be fantastic if we could have those icons laid over/around the various EWAR effects we have in the lower portion of the screen, making it clear which ship is EWARing which ship, making those interactions much clearer than just seeing a wall of dmaps/TDs/ECM. There are a ton of other things we can do to make the communication of information in EVE tournament play more accessible, clearer and more enjoyable for the viewer, especially for commentators like myself in how we work with each other on the day and the coverage we give to tournament play all year round in order to improve the community’s general interest and literacy (which is a topic in its own right and thus one I will be skipping for today), and what’s on the screen is naturally going to play a massive part in how we do this. In closing, I want to give a massive shoutout to the now-closed Null-Sec site and the new Eve Online PvP site for using the API to allow is to watch real-time replays of past matches. 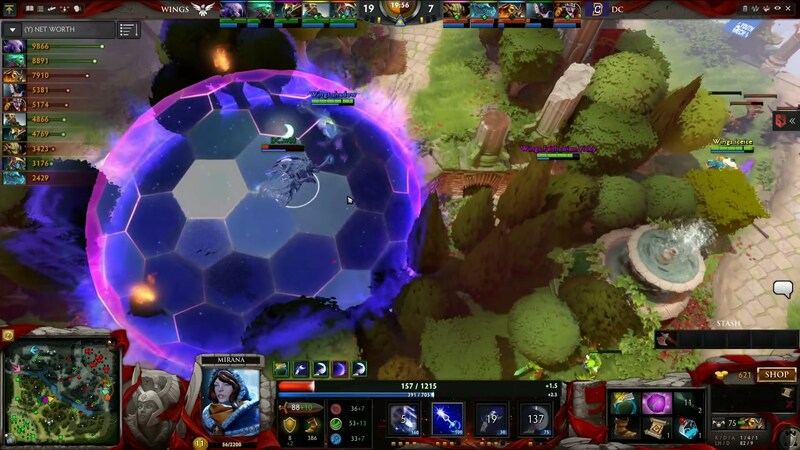 I am hoping to soon™ create a set of videos doing play by play of past matches and really get in depth with them in a way you can’t when you’re casting live. They have already been a massive help in my production of tournament related content, much of which would be impossible without their existence.